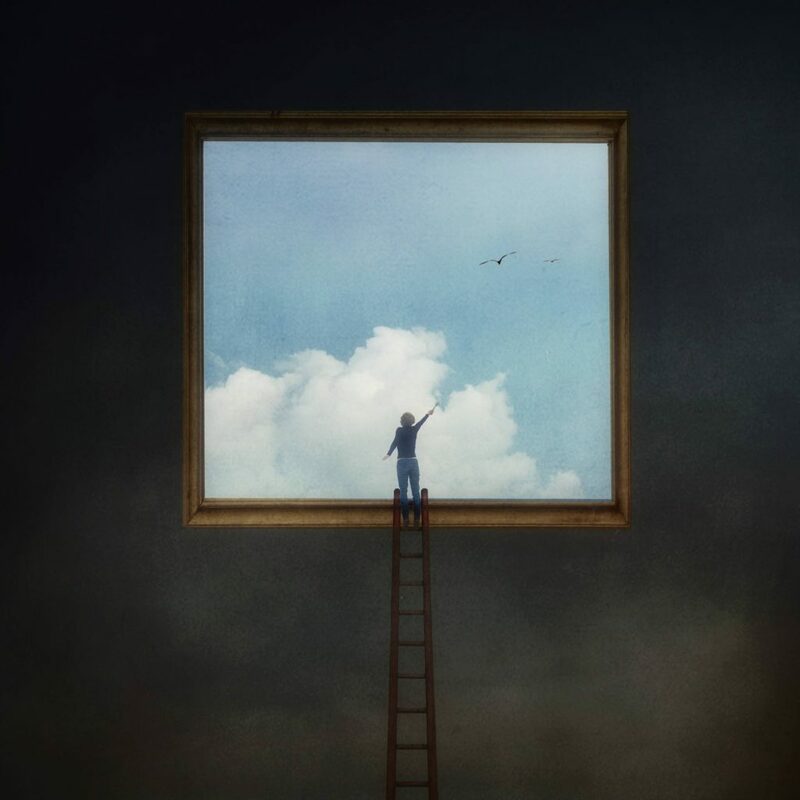 Now, the second one goes to Kasia Derwinska! She is a great artist and people like her do make this world a better place. And I am going to use her artwork in this blog post. Don’t worry, it’s with permission. I partnered with SaachiArt, they accepted me to promote the artwork that I like and even if it’s not really financially “lucrative”, who cares?! I get to do what I enjoy doing, writing about the art that I like – how much better does it get? And the third shutout (I know, you did not expect this one :)) and this one goes to Kim. Thank you Kim! Obviously, there is lady, on the ladder, managed to reach out, to the window (or is it a picture frame?) looking outside and painting her sky the way she wants to. How much better does it get? This is exactly how I feel now. And this is how we all should feel. We should feel and know that we are the ones with a painting brush in our hands. We are the ones creating our own future with our conscious minds. Now, I’m not gonna go any deeper with this. Although I might. Because it is deep. I just wanna say that in this particular moment and in this stage in my life, I feel like I am this lady who was not aware of the fact that the brush was in my hands all this time. All this time. And it’s been too long. Time to turn the page, take that brush, take these colors, take that sky, that canvas and just, you know, make it. Make it the way we want it to be. That’s all that there is to it. Love you guys, this was a short post, but I enjoyed doing it. I think this is the first time I am writing about someone else’s work, not min and I loved it. I enjoyed it and I hope you will see what I see.